Three hundred tree peonies (Paeonia suffruticosa) grace the periphery of BBG's Japanese Hill-and-Pond Garden and the north end of Cherry Walk. The plants were presented to BBG in 2002 by the Japanese town of Yatsuka-Cho in Shimane Prefecture “to bring peace of mind to people in the United States” after the events of September 11, 2001. 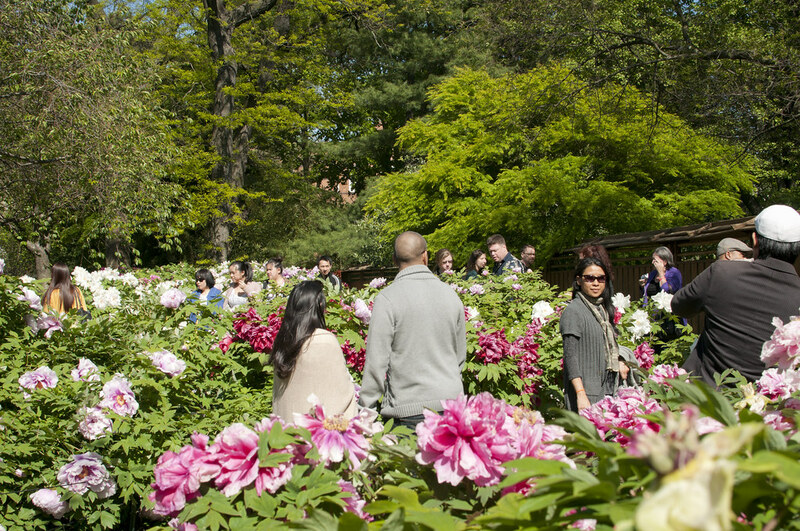 Blooming in late April to early May, the tree peonies are marvels of color, scent, and size. 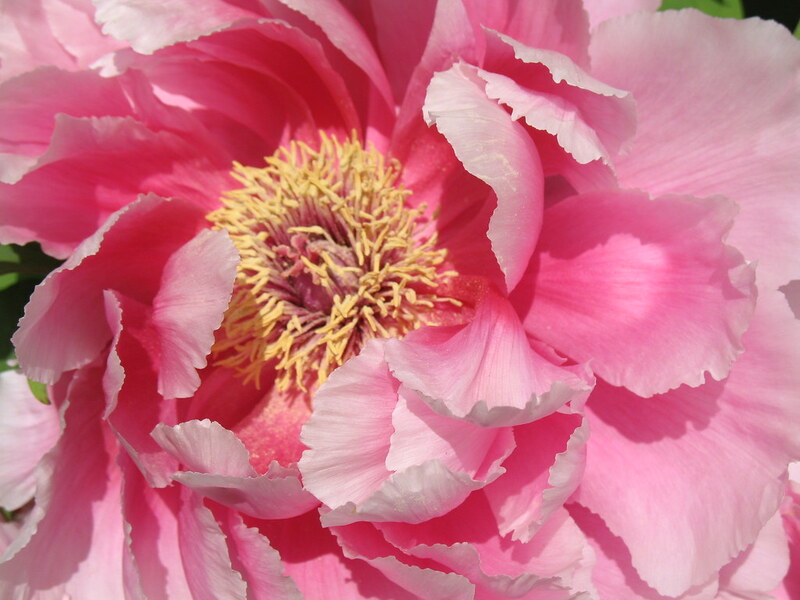 The spectacular tree peony specimens currently on display are not the first plants sent from Yatsuka-Cho, Japan. 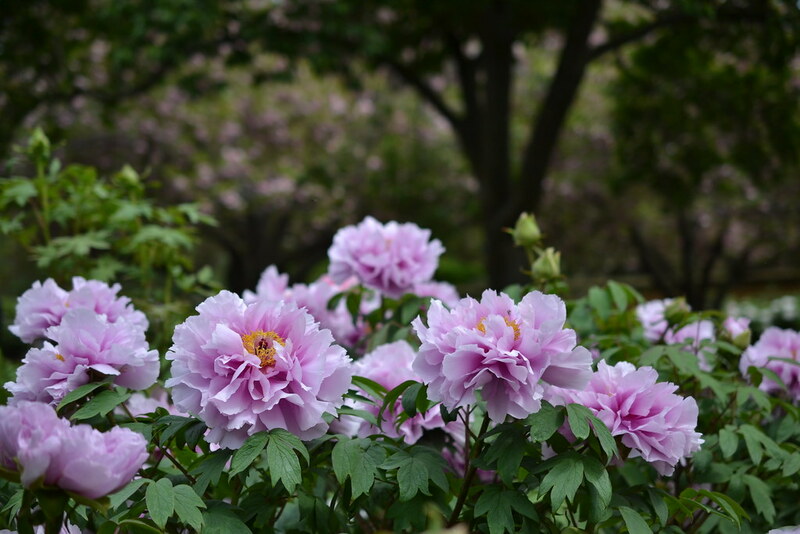 An original shipment of 1,050 tree peonies traveled by ship from Japan in the fall of 2002, bound for both BBG and the Rockefeller State Park Preserve in Sleepy Hollow, New York. The shipment made it to the U.S., but a strike by the longshoremen's union caused the closing of many ports, and the tree peonies sat for weeks in hot, dry containers on a dock in Long Beach, California. Unable to withstand such conditions, the plants died. Yatsuka-Cho, renowned for its cultivation of rare tree peonies, generously sent a new shipment. Despite arriving in December and being planted during a blizzard in half-frozen soil, these tough plants managed to survive and now thrive in the Garden. The Japanese Tree Peony collection in full bloom. Photo by Mike Ratliff. Paeonia suffruticosa 'Kamada Fuji' (Japanese tree peony) in the Tree Peony Collection. Photo by Morrigan McCarthy. 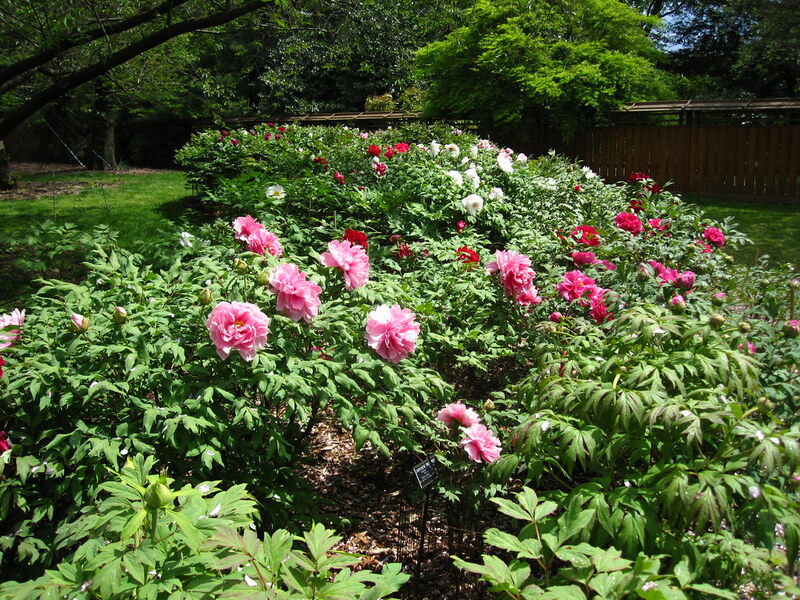 BBG has a collection of over 300 tree peonies (Paeonia suffruticosa). Photo by Rebecca Bullene.